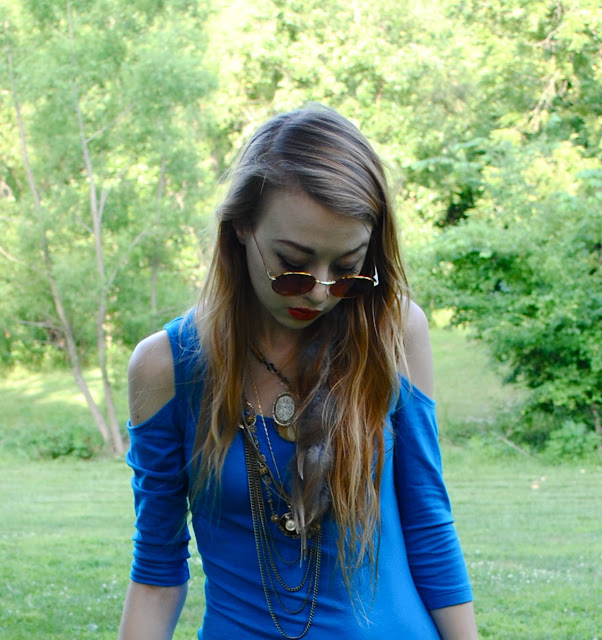 the dress and feather extensions are from forever 21, the jewelry is gifts, vintage, thrifted or from forever 21, the boots and bag are from urban outfitters, and glasses are thrifted. I am so in love with this dress - and it was so cheap! Forever 21 has some really great bodycon dresses at the moment, and most of them are under $10.